Micromax Infinity N12 and Infinity N11, the two new smartphones from the domestic electronics brand, will go on sale in India for the first time today. To recall, the smartphones were unveiled in India last week, and are the first from Micromax in its new Infinity N-Series of smartphones. 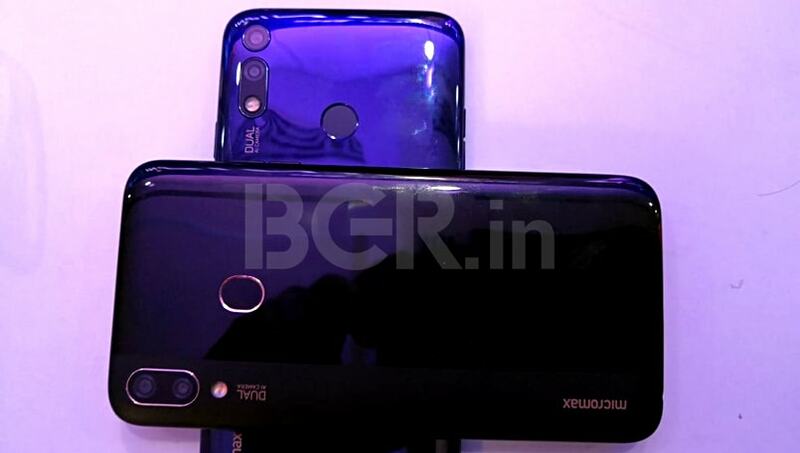 Micromax Infinity N12 and Infinity N11 are also the first from the company to sport a display notch. They also come with dual rear camera setups, and share several common specifications. Here are all the details about the Micromax Infinity N12 and Infinity N11, from their price and launch offers to availability and specifications. The Micromax Infinity N12 price in India is set at Rs. 9,999, while the Micromax Infinity N11 price in India is set at Rs. 8,999. Both smartphones – which were launched in India last week – will go on sale via both offline and online stores from Tuesday, December 25. Micromax has also detailed launch offers, which include a Rs. 2,200 Reliance Jio cashback and 50GB additional data for subscribers on the Jio Rs. 198 or Rs. 299 monthly plans.